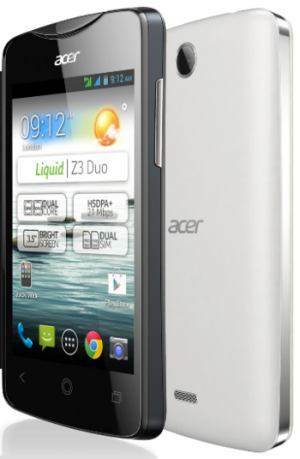 If you’re looking out for a detailed and simple tutorial on how to root the Acer Liquid Z3 easily, then here we are today with a very easy-to-understand and hassle free tutorial. There are a lot of applications that aren’t compatible with your smartphone due to specification restriction, country restrictions and more. Rooting allows you to bypass these restrictions and install all the apps developed for Android. Additionally, there are a lot of root-only applications available which enhance your user experience and let you have much more power. After rooting your Android Smartphone, you’ll automatically void the warranty of your Smartphone. Download The Framaroot app and install it on your device. 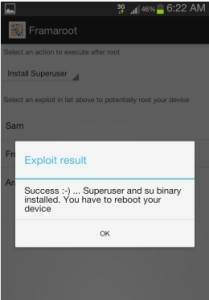 After Reboot, check that ‘SuperSU‘ application is installed or not. If yes, you successfully rooted your phone. If your Acer Z3 was successfully rooted, the ROOT CHECKER application will display a message stating that your device has been rooted. Now, if you wish to un-root your Acer Liquid Z3 later, then follow the same process and run the “framaroot” file. 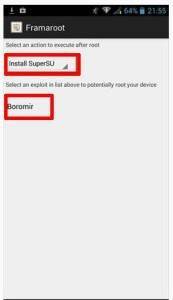 And then press “unroot″ , then press “Boromir” and your phone will be un-rooted successfully. After a few months it just got biased and unrooted itself…..